What to do when your writing is STUCK! Some puppy lovin’ always helps me feel better when my writing is stuck! I have come up with multiple ideas for great stories that I’d like to write. The problem, though, is that although I can begin stories without a problem, the middle and the end keep giving me trouble. 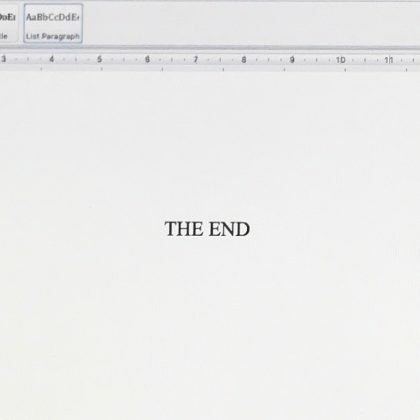 I could just give up, but I love to write stories so much that I can’t. I love how, with good writing, it creates images in your head and leaves you on cliffhangers that make you want to read more. Your writing is all the things I have just described and causes me to enjoy your writing. Anyway, what I am trying to ask is how to put the story together and make them mix? How do you know where to put certain scenes in the story and how do you describe while at the same time making them fit into the story? First of all, you are not alone! ALL writers struggle with writing – even experienced ones. Putting a story together is no easy thing. But I think it’s wonderful that your love of books and a good story inspires you to keep trying. That’s great!!! I have no doubt that if you continue to write, you will eventually write the book you have in your mind. I know because that’s what happened to me. It took me a LONG TIME to get the first Model Under Cover book just right! There is no easy or short answer to your question, but one thing I know for sure is that, if you have a good idea that you really, really like, books are very easy to begin. But I also know how tough it can be to carry on writing your story once you get into the middle of it. At this point I always start feeling like a dinosaur stuck in a tar pit – and sometimes start to panic because the story that once seemed like such a great idea now seems to make no sense and I can easily feel overwhelmed with the thought of how to finish it! So what do I do when I’ve written a great start to my story, but have no idea how to carry on once I’ve hit the tricky middle bit? Well…if I’m stuck it usually means that I haven’t structured my plot well enough. In other words, I need to know what I’m going to write before I write it, and I do this by writing an outline of my story before I actually sit down to write it. (Yup, I’m talking about exactly the kind of outline you learned to do in school!) This doesn’t mean that your outline has to include precisely what every character is going to say or every single little action your characters are going to take; it just means you have to have a good idea of what your story is about and what will more or less happen from the beginning to the end. Let’s say I have come up with the idea of a spunky character who loves dogs and finds the cutest puppy in the world on her way home from school; I love this idea so much that I feel inspired to start writing this story. I describe the girl, the puppy, and how she finds the puppy. 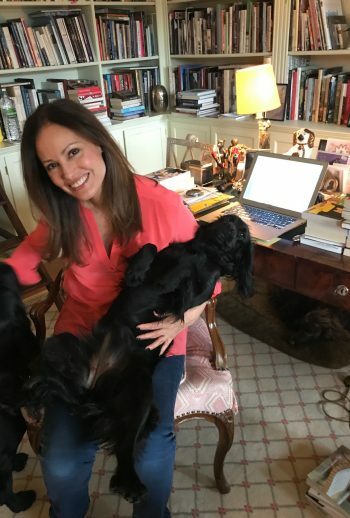 Then I write about how excited she is to bring the puppy home, and I even describe her house and how the puppy runs around its new home…but then, after writing this great start, I get stuck and suddenly my story is going nowhere – FAST. And I start to feel like the great story I had in my head is NEVER going to appear in my notebook or on my screen. WHY??? WHAT HAPPENED??? And what can I do??? Well, like I said, usually, if I don’t know what to write next it’s because I don’t know what my main character should do next and this is because I haven’t thought about her or him enough and what they are doing in my story. It’s usually at this point that I also realise that my main character probably needs a problem to solve, because without a problem to solve there is no story, right? Think of all of your favourite books…I bet all of the main characters have to solve some kind of mega problem somewhere in the middle of the story, right? That’s because without a problem, you have no story! Every good story has a problem – and a resolution at the end. Your ending automatically happens when your heroine has solved her problem. In my Model Under Cover books, the problem is always the mystery that Axelle has to solve. Without the mysteries I have no story. I might have the start of a story, i.e. sixteen year old teen girl loves to solve mysteries and goes to Paris (or New York, or London or Milan)…but unless I give her something to do – like a mystery to solve (i.e. Bell the fashion designer disappears during the Paris fashion shows and Axelle wants to find her), my main character, Axelle, has nothing to do. And once she’s solved my mystery, I have my ending. Am I making sense? In other words, I can’t just set up my main character’s life and describe it for page after page – I also have to give her something juicy to do in her life – and THAT is my story. This is what makes a main character and their life interesting. Don’t you have a ton of fun seeing how a main character in a book you love is going to get out of the pickle she’s in? Me too! So what next? We need a problem for our heroine to solve, thats what’s next! Of course, this is exactly what you hope your parents won’t say…but for our character this is actually perfect, because now she has a HUGE problem to solve: how can she convince her parents to let her keep the puppy? This can easily take up the entire middle section of my book. For example, my main character can spend a few chapters training the puppy to do all sorts of exciting tricks in the hopes that her parents will see how special the puppy is and let it stay. But maybe nothing works until, one night, the puppy scares a burglar away and the parents decide they have to keep such a brave dog (this is your happy ending). Or maybe my main character trains her puppy to fetch her parents’ slippers for them when they come home from work. Then the parents decide that they can’t live without such a clever sweet puppy and the puppy is allowed to stay in her forever home. There are many thousands of ways this story can go…but the point is that your main character must have a problem to solve. In my case, she has to fight to keep her puppy because her parents don’t like dogs. Remember: without a problem for you main character to solve you will get stuck in the middle of writing your story. And without a problem to solve, it will also be very difficult to figure out how your story is supposed to end. Ideally, you should figure out what your main character’s problem will be before you start all of your writing (this is your outline). If nothing comes to mind, maybe start with yourself. What would happen if YOU brought that puppy home? Would your parents be angry or happy? By the way, maybe you have parents that love dogs…maybe they would say, “Let’s keep the puppy!”. Now, you may be thinking, great, if my parents want to keep the puppy then I don’t have a problem, which means I have no story! So how do I get around this situation? Easy: use your imagination! Maybe, for instance, your whole family falls in love with the puppy, but then suddenly, one day the puppy is missing. What will you do? You’ll have to look for the puppy – this will be your middle section. You might, for instance, have a lot to write about if you and your family have an incredibly challenging time finding the puppy. But hopefully you will find it – in which case, this can be your happy ending! Every main character needs a problem to solve – THIS is your story. Once your main character has solved her or his problem you will automatically have your ending. Write an outline of your story before you start writing it! This will help you figure out what your main character’s problem is, and it will also give you your ending. By knowing what your middle and ending are BEFORE you start writing, it will be much easier to finish your story. FINAL TIP: Don’t be afraid to change your middle and ending once you’re writing – in other words, you don’t have to follow your outline just because you have it. Sometimes my outline for a book seems really exciting and I love the ideas I have on it…but once I start writing I find that maybe my outline doesn’t work as well as I’d hoped. When this happens I change my plot structure so that it includes my new ideas (and maybe I delete or erase the old ideas). By the way, don’t feel discouraged if you don’t immediately have a ton of ideas for our outline. Whenever I’m stuck and can’t seem to figure out which way my story should go, I take a short break from writing and usually go for a walk with my dogs. Usually, all you need to get the story ideas flowing is a break from your notebook or computer. An hour of bike riding or dog walking or playing the piano, or doing whatever it is you enjoy doing, will often help the ideas flow. If you’re stuck, go get some fresh air! Right. That’s it for now. I hope these writing tips help your story flow! Keep checking back here for more tips – and be sure to write me if you have a specific question you’d like answered.